Linda Ashok believes poetry is a way forward. Linda Ashok is a poet from India with a deep and abiding interest in poetry being heard and felt around the world. English, fortunately for English speakers, is a window into Indian poetry (and India) which any lover of poetry (and humankind) would be wise to use. She has been kind enough to send Poetry Mail our way, of which she is founder and president, and this number is organized around “read 7 Indian poets a month” (84 Indian poets, through January 2019). Curiosity will never be satisfied, but Criticism, its enemy, can produce, selfishly, moments of satiety and rest, as the Critic deludes himself into thinking perhaps poetry, in pieces, and as a whole, can be grasped and explained and understood in a somewhat satisfactory manner. HarperCollins Indian Poetry in English (2011), Indian poetry issue of TLR, engineer, lives in Cincinnati. A scientist, Mukherjee, writes scientific poems—what is a scientific poem?—alas, there is no such thing. Mukherjee writes poems like a scientist—or, more accurately, writes poems for scientists who might think this is the way a scientist should, or would, write a poem. is blue liberty? what does the atom say? We don’t know what the atom says, but we will think about it for a very long time. Lives in Palakkad, Kerala. His book, Architecture of Flesh, was published in 2015 by Poetrywala. to topple into a depth less soul, one by one. MFA from NYU, born in UK to Muslim parents in 1971. We quote the following short poem, “Autobiography,” in full—lack of grammar (sense) is the poet’s artful use of suggestion—the lack of direct meaning and grammar (including punctuation) is the poetry. Indian poets writing in English have been swept up by Anglo-American Modernism as much as anyone else. Poetry which tells nothing, and only suggests what it means, strives to satisfy the most important criterion of the New Criticism—poetry is that which cannot be paraphrased. Ali’s poem, “Autobiography,” more than meets this critical standard. It is what Ali’s poem doesn’t say which makes the poem powerful. How is it possible to speak about a poem which doesn’t say anything? Is “Autobiography” the kind of poem which ends all Criticism, making the critic astonished, and mute? Modernism was ushered in with Imagism, and the reticence of the image played a great role in moving on from the oratory of the 19th century. However, (up speaks the Critic) in this poem we notice that there’s very little imagery, but in fact a great deal of activity in terms of stage direction/speech/action: “speak,” “answer,” “believe,” “storm on the way,” “close all the windows,” and “begin.” The Indian poets are not resigned. They don’t rest. And yet, a modernist minimalism is still at work. To quote Karunakaran’s poem “The Railway Platform Weight and Fortune Telling Machine” reveals how much he fits into what we have been saying about the previous poets. There is a marked fascination with everything artificial, presented as both comforting and strange—as if modernity were destined to be friend and enemy. Is this kind of poetry sensible? Or schizophrenic? I assume the latter, since no one really wants to read “sensible” poetry, do they? Of course a smart person is usually sensible, and the Indian poets all seem particularly brainy. Is technology a horror, a toy, or a comfort? We aren’t really sure. Teaches at Florida International University and also lives in Kolkata. “Map Pointing At Dawn,” by its very title, throws us immediately into the modern Indian theme: science bumping up against nature—it obviously consumes the modern, educated poets. Here’s the first 8 lines. with upturned nails, secret rooms at the back of a police station: interrogation. Dhar’s style is matter-of-fact; she does not choose to jettison grammar and punctuation, but the fragmentary syntax, the fragmentary meaning, is the same. Social commentary replete with horror is indirectly stated; good poetry is indirect. 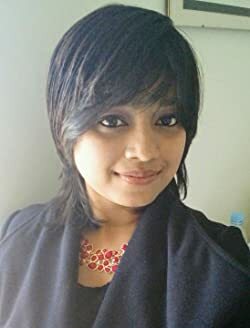 Lives in Siliguri, India and has published in Granta and Prairie Schooner. Roy’s poem, “Root Vegetables” gathers together a theme and puts it on the table for you—all these poems so far have been tangible, material—not flighty, or airy; the Indian poets are smart, observant, grounded and serious; and this poem is no exception, though it is less fragmentary, and can be paraphrased. The Indian poets bend over backwards to appear rational, sane, and grounded in common sense. The ‘standing about’ prose style of modernism adds to this grounded sensibility, such that it almost seems modernism was invented for what the modern Indian poets are trying to say. This is sometimes a good thing. It is not always a good thing. The facile is not always good for poetry. Is from Hazaribagh, India. Winner of the Srinivas Rayaprol Poetry Prize. “My Mother Visits A Beauty Parlor” is another poem which combines the natural (mother) with the artificial (beauty parlor), the overwhelming theme of the new Indian poets. The story of the poem—Vatsa’s poetry is more discursively intimate than most, which is good, since poetry, after all, is speech—does not end well. The poet wants to go to a restaurant, but his mother insists on the beauty parlor, where the poet waits outside, “counting scooters.” The panorama of businesses catering to women’s vanity depresses him, and when his mother emerges from the parlor “with shorter hair and sharper eyebrows” he’s not pleased, and she does not speak to him “for the next two days.” The poet, while waiting for his mother, reflects: “I remember the many TV commercials with smiling women speaking about freedom and other liberating nouns.” This is a depressing description of freedom, a freedom cancelled by the most material limitation one could imagine—freedom is a noun. The noun joke is clever, but terribly depressing, somehow. Trapped in the thing-ism of a noun. This seems to sum up the modern Indian sensibility—stuck in a melancholy, materialistic modernist style, which walls itself up in a perfected type of Imagism (I’m thinking of the English World War One poet, T.E. Hulme) which the Indian poet knows too well, almost too well, so that it slows them down. I would not speak to this particular noun for two days, either. Fascinating. I really love the one with the blue apple. Thank you, Editors, for opening this window into another room in the house of English. This seems right to me. I recall that Scarriet has elsewhere defined poetry (pace Poe) as “music.” I submit that “blue liberty” cannot be poem in itself, because it isn’t long enough to establish a rhythm. A great poem needs at least one great line–a line that pulls you short and makes you hesitate before embracing its rightness–but too many weighty comparisons breaks the integrity of the poem’s music. In other words, the essential unit of poetry is neither the word nor the stanza, but the line. The two capital sins of capital-M Modern poetry (and English poetry still seems to me to be dominated by Modernism) are the worship of metaphor and the neglect of rhythm. “Simple juxtaposition of words” is the purest form of the worship of metaphor, and the abandonment of meter and punctuation is the abandonment of rhythm’s most loyal servants and champions. Mukherjee’s comparisons are not “tedious and vague,” but if the rest of the poem is like this snippet, then the poem certainly is so. Yeah, always insightful to hear your side of things, Powers. RE the concept of music and rhythm, poetry and rhythm I had in my mind the fact that Gregorian chant is generally considered music without rhythm yet it is cetainly still considered music so I google searched rhythmless music to find out if there other music regarded in that way and found a Wikipedia article entitled Free Time (music) which discussed this in detail and beyond Gregorian Chant, even mentioning it (music with virtually no time signature as envisoned by the composer and notated as such) and this article also mentioned this as one attribute of Hindustani classical music which brings us round to the blue apple poem. Certainly in light of this and many others things it can still be considered a poem as well as in the fact that imagery, assonance, alliteration all these things even in a fragmentary forms can be considered indicators of poetry. Rhythmn is not the only qualifying attribute of a poem unless you want to create your own sphere where only this is possible. But in reality even in Nature there is poetry without obvious pulsation as in the flow of waters subject to variations in wind and resistance according to objects in he water. Of course still possible to say for the individual that you only recognize poetry as poetry when rhythmic patterns are obvious but this is a subjective choice I think and not a hard and fast rule. The presence of the possible blue apple was enough for me to feel it was a poem. sorry for typos and word omissions. There is also the question of duration in dreams, in dream states any sense of timelessness transcendence are such moments, effects considered poetry, poetic, or the way the dream timeless time unfolds in the films of Andrei Tarkovsky, no obvious metrical metrics yet there is poetry there, in the music of Ravel and Debussy especially I find a great deal of poetry and yet sometimes it feels as though time disappears in that music. I would not argue for the presence of rhythm as a guarantor of the presence of poetry. It just doesn’t feel that way to me. There are so many more poets from India I have come to admire. I would be happy for you to delve more into their works also, in the true spirit of being inclusive. Linda provided me a list of 84 poets. 12 months, Feb 2018 thru Jan 2019, 7 poets per month. I can look at more poets! Thank you for the list!